. 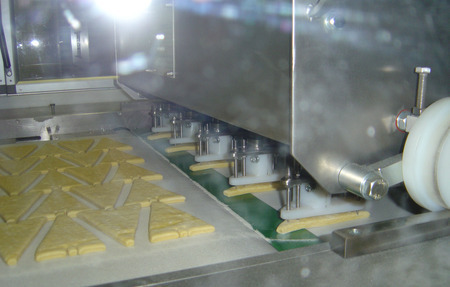 : Erreci - Products - Macchine produzione sfogliatine,Macchine produzione snack salati,Macchine produzione focacce :. 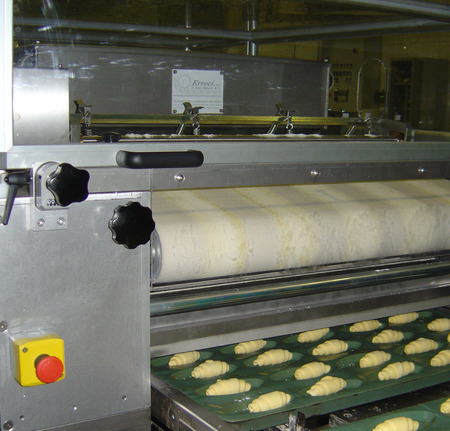 RC36E is an ideal machine for forming croissants empty of different sizes. It takes only a few minutes to change the format and has maximum flexibility control. It can reach a production rate of 36,000 pieces/hour. 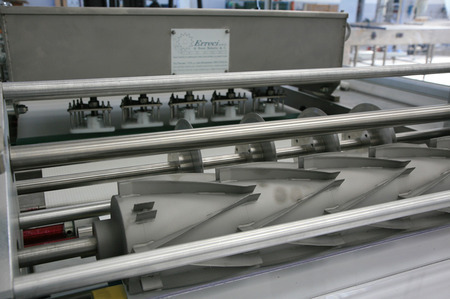 RC36E can be integrated in a fully automatic line with syncronized system for unloading the products in trays. 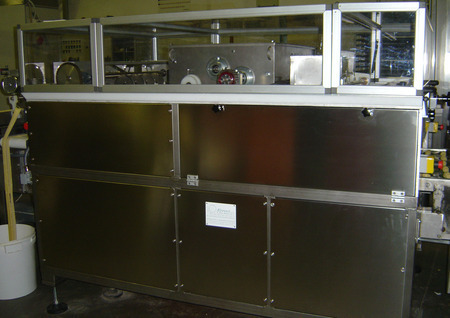 RC36E is a robust machine in stainless steel AISI 304. 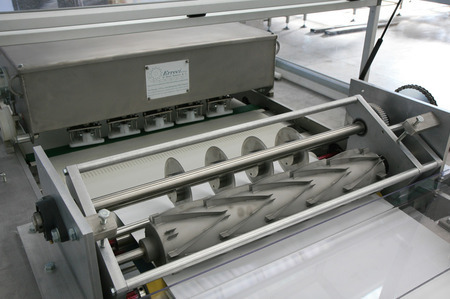 The top cover can be fully opened and is in transparent polycarbonate.